This one was done with a mix of gel-print techniques, and even stencils. 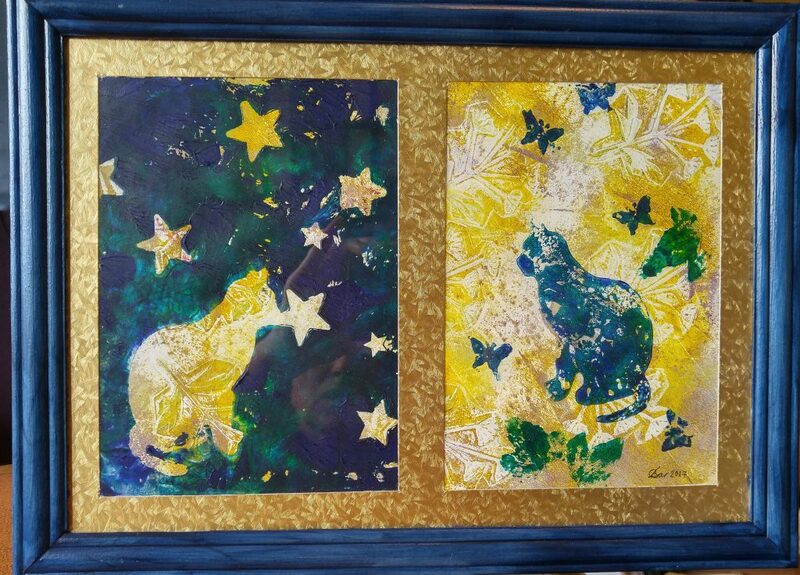 The stars and butterflies complement each other nicely, though the midnight cat seems to be catching a star. The ivy leaf that turned into a horse’s head is entirely accidental.